This is a new video from GamingBolt that lists 15 things that you need to know before purchasing the video game Lawbreakers. 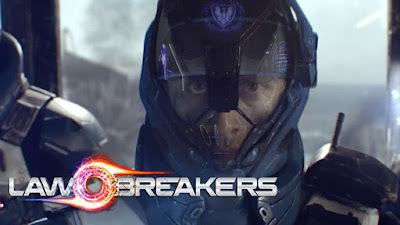 Lawbreakers is a first-person shooter game that was developed by Boss Key Productions and published by Nexon. The gravity-defying combat game is set to be released on August 8, 2017 for Microsoft Windows and PS4. Check out the synopsis and video below. "The more we see of LawBreakers, the more we cannot wait to get our hands on it. It looks like an incredibly enjoyable hero shooter with some great mechanics, and the fact that its development team is being led by none other Cliff Bleszinski of Gears of War fame only serves to make us even more confident that the game will be excellent. In order to share with you just why we’re feeling so good about this game, in this feature, we’re going to list out fifteen things about the game that we feel you should know too, fifteen things that will surely get you pumped for LawBreakers if you aren’t already."